Entitles a Clinic to enrol any/all staff in a single EQA Scheme. Entitles a clinic to register any clinic staff in any laboratory to any scheme available in a specific discipline(e.g. Andrology) in a calendar year. 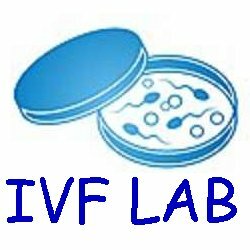 Entitles a clinic to register any clinic staff to any scheme in any laboratory in a calendar year in the disciplines Andrology, Embryology, Ultrasound, Limited (see list-some restrictions). There is no fee for this subscription. Additional fee per laboratory for large multi lab clinics with global subscription. * Clinic subscription or above requires the nomination of a QAP supervisor and creation of a laboratory QAP group (achieved on-line). Individual staff are required to register and link their registration to the group QAP via a company code. No further payment is required when subscribing to the nominated schemes. ** Payment may be in one of the 3 currencies by Post or Bank Transfer. All Credit Card transactions over the Internet are in AUD only. *** From 2010, all subscriptions can be completed online. Access to the QA schemes is available once payment has been reiieved and processed. **** Direct Credit payment via SecurePay (independent processor) is now the preferred manner for payment since it allows direct access to the schemes. 1. A limited single scheme subscription is available at $US20/scheme but with some limitations. These limitations include no access to clinic or peer review comparison and limitation to individual reporting. Subscription is only available by post (not credit payment). This option has been designed for students or individuals where cost is a limiting feature. 2. Management Options. For a fee of $US240, FertAid will manage and provide you with monthly summaries for each staff member and the clinics monthly and annual reports.